We are engaged in Guest House Interior Designing Services. We have a team of experts who have got a mastery over designing different interiors for our clients. Our team comprises of designers, decorators, visualizers and architects who study the minutest details of the subject area and offer their best services to clients. 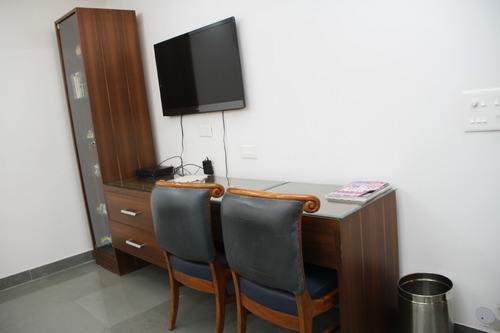 We offer Guest House Interior Designing services to our esteemed customers. Our focus is to use every inch of space effectively and at the same time to create breathtakingly beautiful interiors. Another focus is to make the rooms as comfortable for the dwellers as possible. All the furnishings are of excellent quality and last for a very long time. We are pleased to introduce ourselves as one of the leading interior designers and execution contractors in Bangalore for "SPA & SALOON" Interiors. We are associated with leading Architects and builders. Our clients are large, medium and small scale companies. We are in the business of delivering value added, Interior and Architectural design and execution projects for the wide profile of corporate, commercial, Hotels and gallery clients. We have the infrastructure and technical capabilities to undertake turnkey projects in large volume. Projects are being managed by experienced engineer and supervisors along with the strong skilled force in civil experts, skilled carpenters, gypsum work, POP Celling, soft furnishing, electrical, plumbing, flooring, painting and fabrication. Using the finest material and superior workmanship to create work and living space that enhance the quality of life. 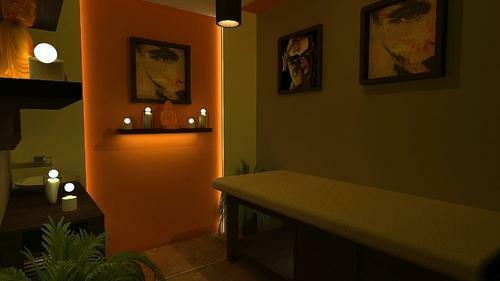 Looking for “Guest House Interior Designing Services”?